A New York company is expanding into the Silicon Valley to fill a demand for more office space in the area. 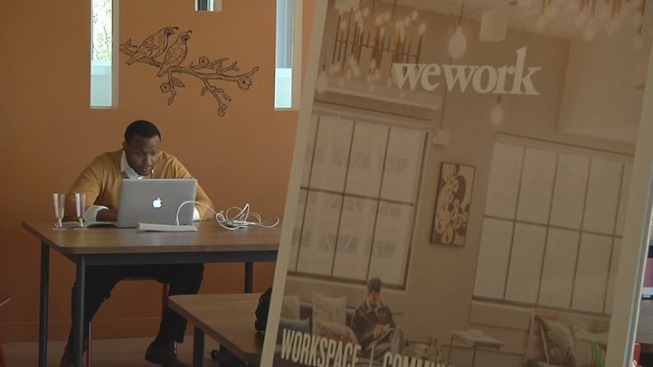 WeWork on Tuesday unveiled its newest home inside downtown San Jose's Valley Towers. The new addition to downtown gives a boost to an area that could use some new business. "There's a diversity of tech and older companies and public transit is accessible," said Jon Slavet of WeWork. "Our first location in the valley." In fact, public transit was one of the selling points for WeWork to open up shop in San Jose as open office space becomes more scarce. "We know job growth in other parts of the valley adds to the congestion, but here in the downtown corridor people can use transit, they can walk to and from work," Mayor Sam Liccardo said. "It creates an opportunity for us to grow." WeWork's San Jose location will have four floors for companies of all sizes. "The goal is to really spur growth, stemming from helping small businesses thrive and success in San Jose," said Lea King, who runs the nonprofit Silicon Valley Talent Partnership.